A short and sweet blog post about paying attention to small details, in this case at a setup perch. See the image immediately below. At first glance the image is appealing enough. 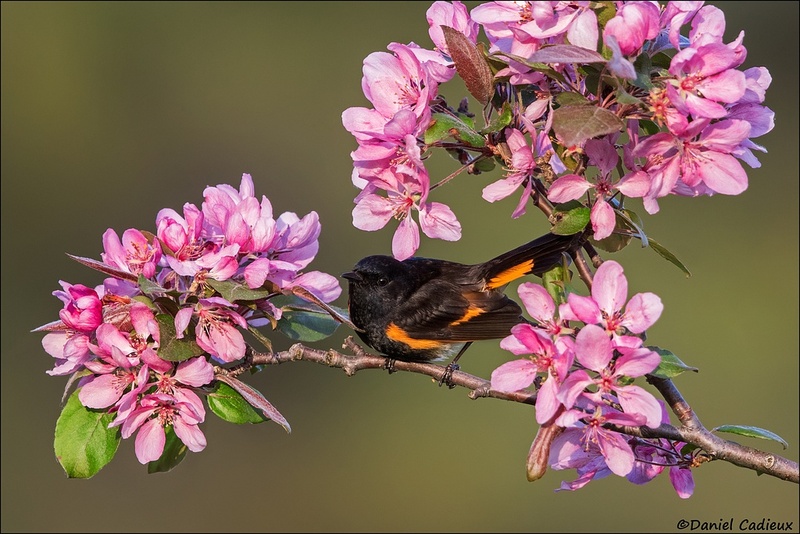 A male American Redstart on a beautifully blooming crab apple tree branch. Good light and background. All is well in warbler photography world, right? Well, maybe for most, but to some (like me) a couple of leaves are just much too close to the subject and are rather distracting. When I saw the scene developing through the viewfinder I immediately saw this problematic element. 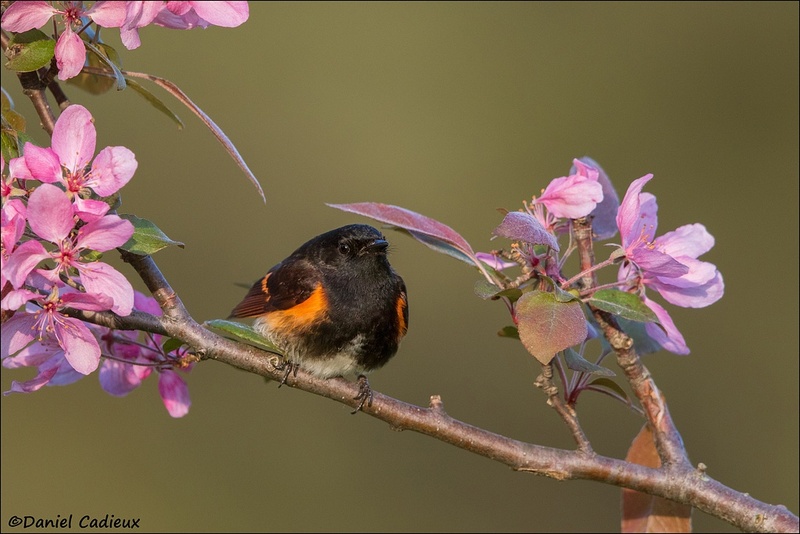 American Redstart, Canon 7DII + 500mm f/4 II + 1.4TC III, manual exposure, evaluative metering, 1/640s., f/5.6, ISO 800. 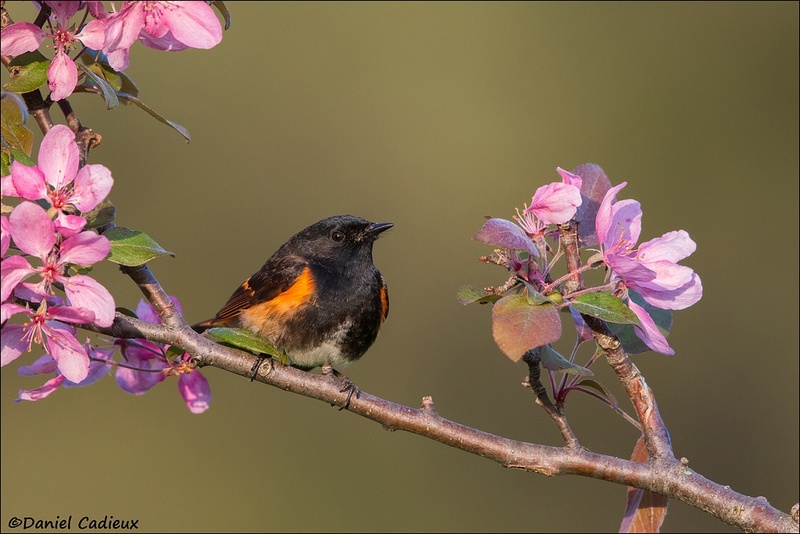 American Redstart, Canon 7DII + 500mm f/4 II + 1.4TC III, manual exposure, evaluative metering, 1/500s., f/5.6, ISO 800. Great reminder to always check things and an awesome photo. Thank you very much Holly, I agree! Hi Daniel, nicely done… thank you. Hi Joe, thank you for dropping by!